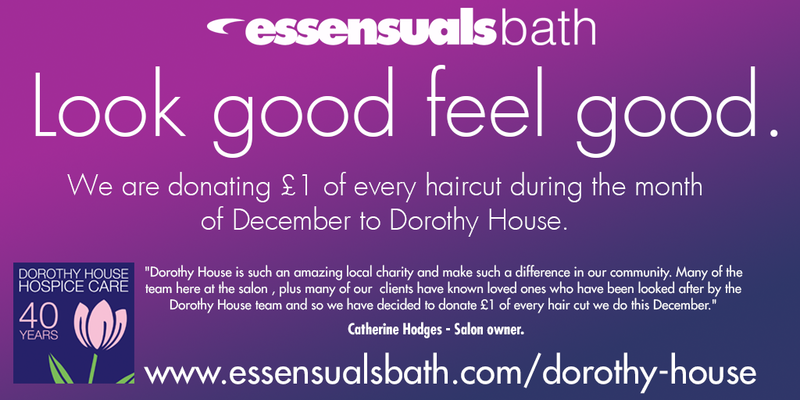 We are donating £1 of every haircut during the month of December to Dorothy House. Dorothy House Hospice Care is an Independent charity reliant upon fundraising. Services are available free of charge to patients, families and carers. Dorothy Houses specialise in palliative care and look after patients and their families in Bath and surrounding communities in their own home. – Catherine Hodges – Salon owner. Book your appointment Now and £1 will go towards Dorothy House. *I consent to have Essensuals Bath collect my name and email address.